Dr. Munro is a WHRI researcher and implementation scientist doing work on access to contraception and informed, shared decision-making. She holds a joint post-doctoral position between the Contraception and Abortion Research Team (CART) and the Dartmouth Institute for Health Policy and Clinical Practice (TDI). Choosing the right form of contraception is not always an easy task. Misinformation, high costs, or familiarity with a particular method are all reasons a patient may not consider different options for contraception. This gap is what led Dr. Munro, principal investigator Dr. Rachel Thompson, and the team at Dartmouth to develop and evaluate a set of tools called Right For Me, which supports patients to make informed, shared decisions for contraceptive methods. The tools are comprised of a collection of decision aid handouts, a video and prompt card outlining three key questions to ask during clinic visits, and training for healthcare providers. The tools aim to aid patients in selecting the form of contraception that best matches their values and needs. The Right for Me study was conducted with funding from the Patient Centered Outcomes Research Institute (PCORI), which focuses on research that directly involves and benefits patients. Patient partners from diverse backgrounds collaborated throughout the research process – from identifying which outcomes to measure, to creating a video summary of the study protocol. Dr. Munro recently completed the qualitative evaluation of the implementation of Right for Me. Stay posted for her publication in the coming months! Moving forward Dr. Munro will be adapting the Right For Me tools for a Canadian audience. 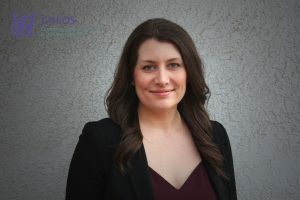 She will continue working with Dr. Wendy Norman and other researchers at WHRI and across the province to implement these successful tools to support shared decision-making for patients and providers involved in maternal, sexual, and reproductive healthcare.